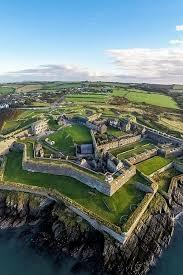 Learn TapRooT® Root Cause Analysis in Ireland & explore Cork! The TapRooT® Techniques course is designed for everyone—from beginners to experts. 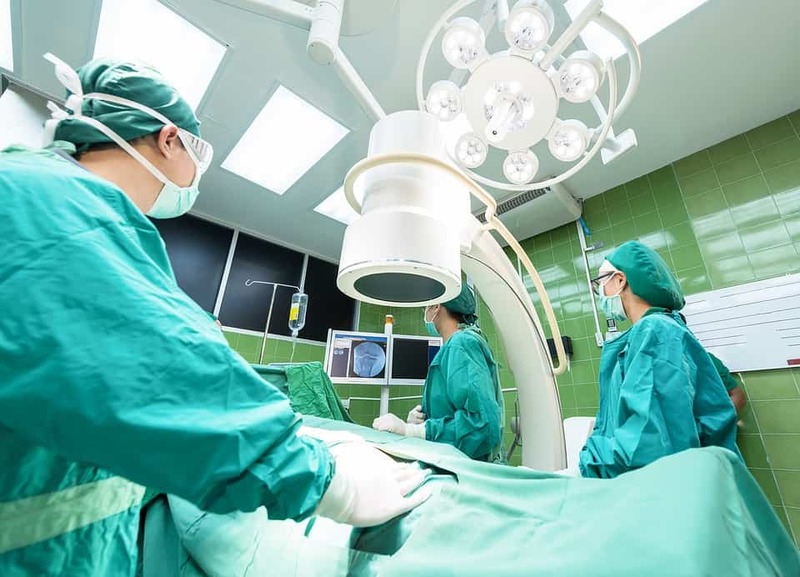 In the span of our two-day course, you will learn the TapRooT® Essentials to find and fix the root causes of incidents, accidents, quality problems, precursor events, operational errors, hospital sentinel events, and many other types of problems. Upon course completion, attendees will receive a certificate and a 90-day subscription to TapRooT® VI, the online software service. Most importantly, you will have the advantage of professional training in your wheelhouse and on your resume! Course attendees should bring safety incidents or quality issues from their facility for a team exercise. These may be either written reports or, alternately, you may bring knowledge of an incident without bringing a written report. We’ll divide into teams of 2-4 people, with each team analyzing a different problem. 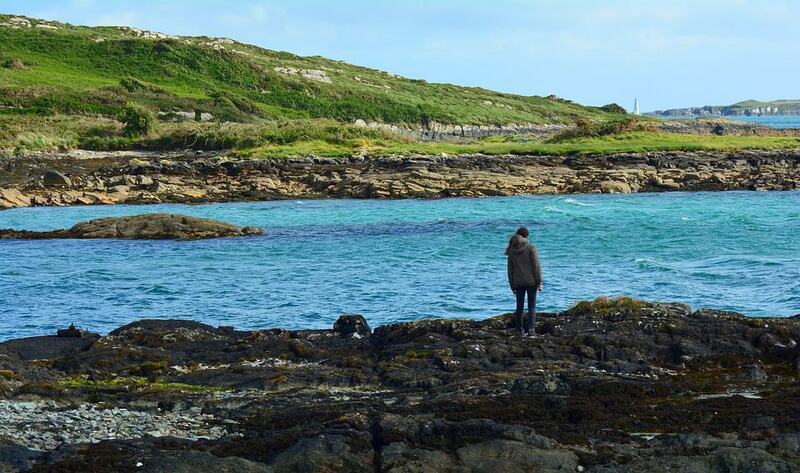 You’ll want to discover what makes Cork unique while you’re in the host city. We’ve put together some highlights and eateries for you to check out; find more to explore on the TapRooT® Cork Pinterest Board. Grab your camera and get ready to see Cork, easy to cover on foot. 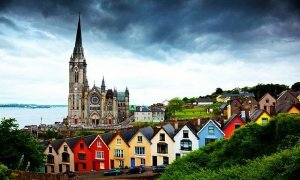 This city on the southwest coast of Ireland has a history and culture steeped in religious, sporting, musical, and culinary traditions. Cork (“Corcaigh” in Irish) was founded in the 6th century by Saint Fin Barre and is home to Murphy’s Irish Stout, beautiful Fitzgerald Park on the River Lee, and plenty of rugby. 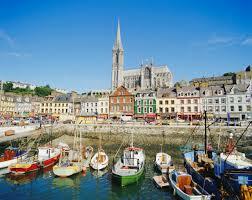 In the city’s center, visit the three-spired Saint Fin Barre’s Cathedral, the Anglican Diocese of Cork, Cloyne, and Ross. The French Gothic-style cathedral walls are lined with red Cork marble; eight of the 13 cathedral bells date to 1753; the building contains more than 1,260 sculptures and magnificent stained-glass windows and floor mosaics by Italian craftsmen. With its heritage dating to the 12th century, the Church of St. Anne is home to the famous “Four-Faced Liar” and one of Cork’s most iconic landmarks, the 18th-century Shandon Bells. Climb to the first floor and play the bells; the tunes are on numbered cards. Go up to the steeple’s top (132 steps) for an amazing 360-degree panoramic view of “the Rebel County,” as Cork has been known since the Wars of the Roses. 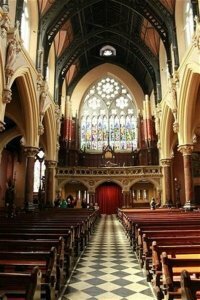 Just off St. Patrick’s Street and the main shopping area of Cork, you’ll find the Church of St. Peter and Paul, founded by a true individual, Archdeacon John Murphy. 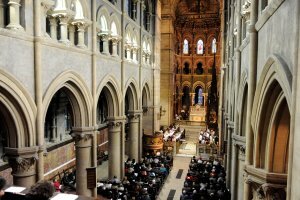 You’ll appreciate the ornate wooden angel carvings that line the pews, jewel-toned stained-glass windows, and the delightful tranquility within. Get a great overview from this quick Cork walking tour, and discover more to see and do on our TapRooT® Cork Pinterest board. There are lots of ways to get to the historic English Market (via entrances on Princes Street, Patrick Street, the Grand Parade, New Market Lane, and Mutton Lane). 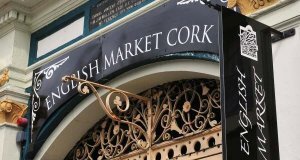 Here, in the center of Cork is one of the world’s oldest municipal markets, brimming with foods from around the world and traditional local fare, with a beautiful fountain in its center. 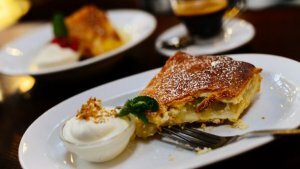 Taste artisan bread, relax over tea or coffee at Coffee Central, or enjoy a meal and the apple tart at Farmgate CAFE. 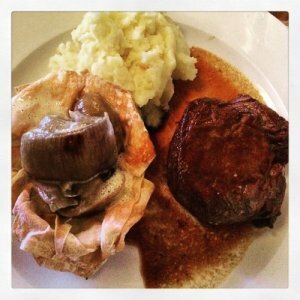 Jacob’s on the Mall: A local favorite featuring local and European tastes as well as being vegetarian-friendly. Market Lane: Try the monkfish, red cabbage, roasted vegetables–you can’t really go wrong here. Elbow Lane Brew & Smokehouse: Go early, as Elbow does not take reservations. T-Bones, sirloins, ribs, duck, and more–all grilled over open flames. The home-brewed beer selections get a hearty thumbs up. Orso: Fusion food with an Asian influence. Lots to tempt you here: beef pie with almonds, cashew nuts, & carrots; slow-cooked ham baguette; Italian almond cake; terrific wine collection. Quay Co-op: Gleaming wooden floors, a blazing fire, and views of the Lee through the oversized windows—the Quay sets the scene for your culinary experience. You can also easily find nut-free, gluten-free, and vegan selections at the Co-op. Enjoy from-scratch soups, homemade breads, and more. TapRooT® is global to meet your needs. Please see our full selection of courses. Would you like for us to teach a course at your workplace? reach out to discuss what we can do for you, or call us at 865.539.2139.